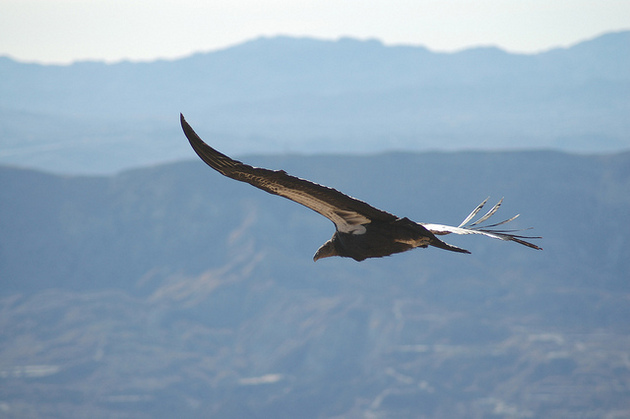 "By 1987, for the first time in tens of thousands of years, no Condors patrolled the California skies. Today there are 230 California Condors in the wild: 128 in California, 73 in northern Arizona and southern Utah, 29 in Baja California." "Without continued management to prevent lead-related deaths, the wild Condor population is predicted to again face the substantial threat of extinction in the coming decades."